I am Jack Byno, a Crowley, Texas traffic warrant roundup attorney. I have represented clients in Tarrant County since 1994 and I am very familiar with the Crowley Municipal Court. I have represented clients with speeding tickets, lifting traffic warrants, CDL and trucking violations, driver’s license suspension hearings, and occupational driver’s licenses . Contact me if you would like more information about getting help with your Crowley traffic citations or warrants. More about Crowley traffic tickets . Jack Byno, and Associates represents clients that are targeted by the Statewide Warrant Roundup. The Crowley, Texas Police Department takes an active role in the Great Texas Warrant Roundup. There are approximately 250 cities participating in an organized effort to arrest those drivers that have not taken care of their outstanding traffic warrants. If you have received notice from the Crowley Warrant Officers that they are after you, take it seriously! They will come to your home, work, school, or any other place you might be to arrest you. 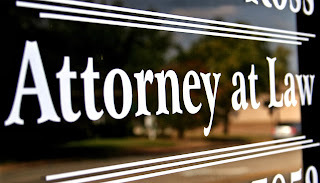 It is time to retain an attorney to lift your traffic warrants. Contact me to get the process started. When you retain the lawyers of Jack Byno & Associates to lift your Crowley, Texas speeding ticket warrants, our staff will contact the Crowley Municipal Court to verify what warrants you have and how much the bonds are. We will then post bonds and send a letter of representation to the courthouse. Once the court clerks receive and process the bonds, the traffic warrants will be lifted. We will then plea your speeding ticket to the best deal we can make and try to keep the violation off your driving record. Once our attorneys have gone to court, we will send you notice of the outcome, how much your court fees are, and when to pay them by. Contact me to lift your Tarrant County traffic warrants before the Crowley Warrant Roundup affects you. Crowley traffic ticket attorneys Jack Byno & Associates posts bonds and lift warrants on a daily basis during the Great Texas Warrant Roundup. I have helped clients with their Tarrant County traffic tickets since 1994. Do not let the Crowley Police Department make you their target during the Statewide Warrant Roundup. Contact me today!